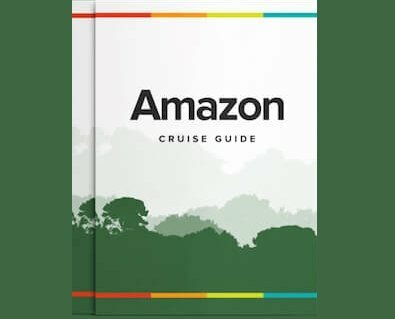 This five-night riverboat cruise gives us a chance to get a real feeling for life in Amazonia, which is in fascinating contrast to our daily lives. Even those with a fear of heights will not want to miss out on the canopy walkways of the Yarapa River's Tree House Project, which gives a new perspective on the jungle canopy, where so much of the flora and fauna is to be found! 12.00 pm. If you are already in Iquitos, please make your way to the reception of the luxurious Dorado Plaza Hotel where you will be greeted by your guides and begin your Amazon adventure. 12.30 pm. En route to the boat we will pick up and warmly welcome those passengers arriving on the late morning flight from Lima, after which we continue our 90-minute drive to the Amazon port town of Nauta, where the Amatista is moored. 2.00 pm. Our river journey starts, before a late lunch - a perfect way to begin, enjoying a delicious meal with a panoramic view of the jungle surrounding us. 5.00 pm. After navigation to the Amazon River at the confluence of the Marañon and Ucayali Rivers, we take our first close look at the wildlife of the region, heading out in the expedition skiffs to explore the neighboring channels and islands . There will be many chances to appreciate the rich flora and fauna, such as iguanas, sloths and pink river dolphins. In the low water season (June through November) we can whet our whistles with an additional visit to an Amazonian distillery. 6.00 pm. Once back on board, it is time for dinner, after which the talented crew may treat you to some live music. 6.00 am. After an early wake up call we embark upon a birdwatching excursion along the Amazon River. Have your binoculars at the ready as we seek all manner of species, including parrots, sloth, monkeys, toucans, fly catchers, trogons, parakeets and more. 8.00 am. We return to the boat for breakfast as we sail up the Amazon River towards the Ucayali River. 9.30 am. A morning boat excursion follows, exploring tributaries of the Yarapa River, home to a plethora of birdlife, mammals and fish ... including the notorious piranha! 12.30 pm. Returning to the boat for lunch, it is then time for some you-time. Relax on board La Amatista's spacious and comfortable social areas, read a book, sip a cocktail, or just drink in the spectacular scenery all around you. 3.00 pm. This afternoon the expert naturalist guide on board will give you a geographical orientation and short talk about the Amazon. 4.30 pm. Later we visit the butterfly farm project of the Vista Alegre Communal Reserve, where we will learn about the butterflies of Amazonia and their ecological importance to the rainforest (inaccessible March-May due to flooding). 6.00 pm. We have dinner back on board the Amatista, and if you wish, take a night excursion into one of the tributaries of the Marañon to see the incredible nightlife that awakens when the sun goes down: nocturnal bats, birds, insects and monkeys. With the help of the crew we will try to spot white or black caiman. 6.00 am. After an early wake up call, this morning we witness the waking of the jungle from a bird's eye (if not monkey's eye) view, as we head to the Yarapa River's Tree House Project. Here, we enjoy a spectacular perspective of the rainforest from a series of suspension bridges and viewing platforms that form our canopy walkway. 8:00 am. Breakfast is served on board as we continue sailing down the Ucayali to the confluence with the Marañon, where we then head upstream. 9.30 am. Afer breakfast we get our first glimpse of the remarkable Pacaya-Samiria National Reserve, as we head along the aptly named Piranha Creek, one of its first tributaries. The reserve is famed for its incredible biodiversity and is commonly referred to as the 'Jungle of Mirrors' owing to the impressive reflections one can observe during the high-water period (December through May). 12:30 am. We return to the boat for lunch and some down time before the afternoon activities begin. 5.30 pm. We return to the Amatista for more knowledgeable insight with a lecture from our naturalist guides. A reception with live music follows, culminating in a delicious dinner as you enjoy the sights and sounds of the Amazon rainforest at night.